The journal Flow Control has honored the fluid handling industry’s ongoing commitment to manufacturing excellence through an annual Innovation Award for nearly two decades. Each year, Flow Control presents the latest innovations and technology breakthroughs in the industry based on an open nomination and reader voting process. 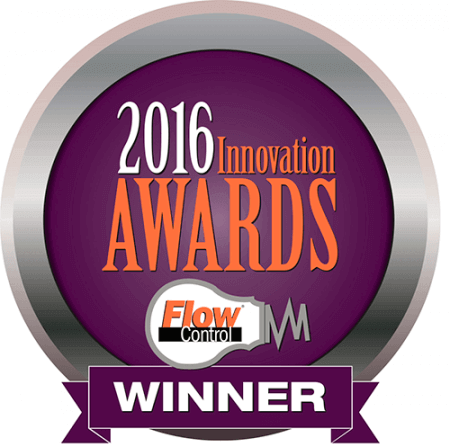 We are extremely excited to announce that our innovative digital mass flow meters of the red-y compact 2 series have been choosen as the winner for this year’s Innovation Award! In this year’s nomination process Vögtlin has prevailed against other industry leaders like Siemens, Sierra Instruments and Endress+Hauser! This award reinforces our long-standing commitment for innovative high-tech products in the field of gas flow measurement and control. 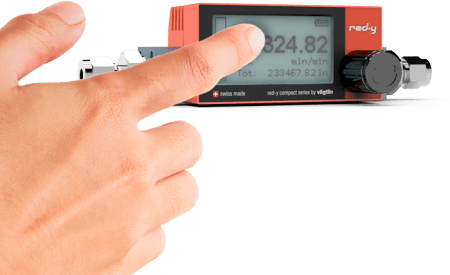 The mass flow meter with award-winning Fingerspitzengefühl! Fin-ger-spit-zen-ge-fühl [noun] is a German term, meaning “instinctive feel” or “tact and sensitivity” literally meaning “finger tips feeling”.